Fresco is the result of the alliance and the creativity of an agronomist, Emanuele Bortolotti, and a publicist Ferdinand Ferdinandi. 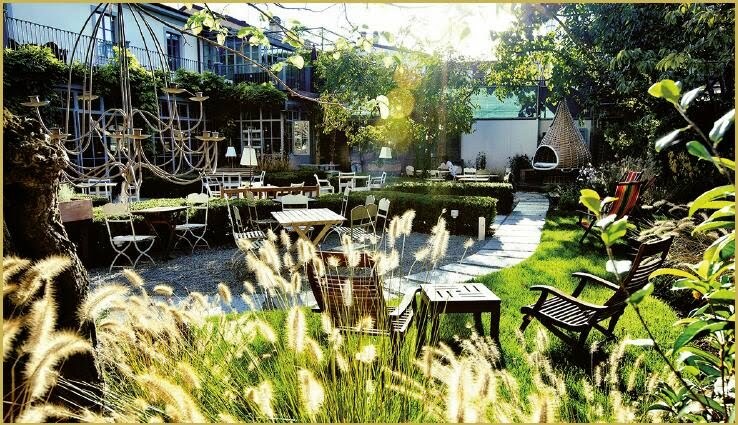 In an old, refurbished industrial warehouse, in the heart of the Tortona Area,you will discover a veranda, which looks more like a greenhouse, a delightful garden crowned by wisteria, roses and cherry trees, a kitchen that bakes fresh bread, pastries, dishes such as a time; an ambient that welcomes those who appreciate the relaxing, charming outdoors. A real meeting place with a kitchen (playfully captured in the signboard) where you will be presented with a menu full of natural, organic, fresh, ingredients, carefully redesigned by chef Kokichi Takahashi.